Recycle… Re-purpose… and Share the Bounty! Contact us about donating your excess products to Family-to-Family so we can help re-purpose them. Using our network of contacts, we’ll find a perfect match for your donation. 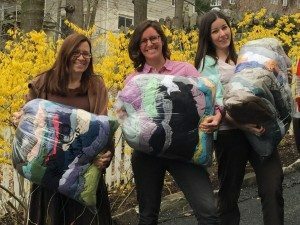 Since 2014, we’ve found homes for over 37,000 gently used “Green Eileen” women’s clothing items (from designer Eileen Fisher) – passing them along to women struggling to rebuild their lives at Westhab, Inc. in Yonkers, N.Y., The Henry Street Settlement House in New York, N.Y., Integrity House in Newark, N.J., People to People in Nanuet, N.Y., the YWCA in White Plains, N.Y. and The Full Gospel Outreach Ministry in Montrose, Arkansas, among many others. 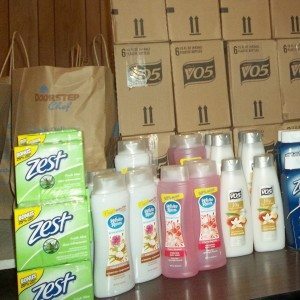 Through our Share Your Beauty Program we have provided more than 130,000 new beauty products donated by Aveeno, bareMinerals, Birchbox, Buxom, Elizabeth Arden, Essence/Cosnova Inc., Henri Bendel, Herbal Essence Shampoo through Pop Sugar, Knock Out Cosmetics, L’Occitane, L’Oreal, Lush, Mario Badescu, Pureology, Redken, Tarte Cosmetics and more to multiple New York area shelters serving impoverished women and teens. If you have excess products that can help a family in need… please consider joining our efforts… and share the bounty! Email moreinfo@family-to-family.org to learn more. 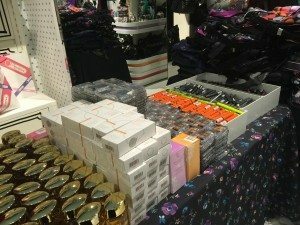 Make up, hair care, makeup bags and fragrances donated by L'Oreal, LeSportsac, Elizabeth Arden and more.